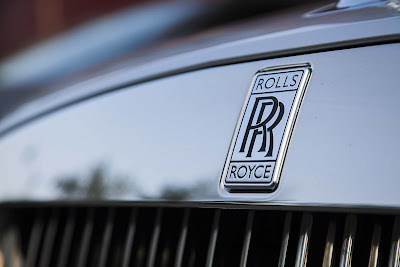 Rolls-Royce is a company best known for its luxurious cars and its engines that power the majority of Aeroplanes, including those built by Boeing and Airbus. It is a brand that is synonymous with luxury and is known the world over, but how the company has managed to ascend to such an elevated position has been the subject for investigation for a number of years and, this week, those investigations took a very important turn. In this post we will survey the developments of the investigation and attempt to assess just how important the case is in terms of acting as a deterrent against corporate crime. ‘devastating and of the very greatest gravity that the conduct of this institution should fall to be examined within the context of a criminal investigation… and that the investigation should reveal the most serious breaches of the criminal law in the areas of bribery and corruption (some of which implicated senior management and, on the face of it, controlling minds of the company)’. There are two important elements to this case, but we shall start with the first issue identified by Lord Justice Leveson. In terms of what the company was under investigation for, the list is extensive. It was alleged that the company has made corrupt payments to agents in Indonesia and Thailand between 1989 and 2006; concealed the use of intermediaries in its defence business with India between 2005 and 2009 (when the use of intermediaries was restricted); agreed to make corrupt payments to agents in Russia regarding gas compression equipment; and had failed to prevent bribery by its employees during business with Nigeria, Indonesia, China, and Malaysia. Furthermore, it is reported in the case that the company is in the process of agreeing settlements with the U.S. Department of Justice and the Mexican Ministério Público Federal. So, in light of this, the appropriate question to ask is what was the result of the investigation? So far, the case has concluded against the company, but remains open against its officials. For the company, the punishment was a settlement of £497 million, which may rise to almost £700 million once interest is added. A ‘settlement’, as it is popularly known, is referred to as a ‘Deferred Prosecution Agreement’ (DPA) in the U.K. and is a tool that can be used by prosecutors to reprimand a body corporate for certain economic or financial offences (it may also be applied to a Partnership or an unincorporated association) – it does not cover an individual. Essentially, the prosecution can be avoided by entering into an agreement – usually consisting of a commitment to pay a fine, together with the commitment to comply with certain regulatory procedures. For a DPA to be considered, it must be concluded that a DPA is more appropriate, in the interests of justice, than a full prosecution. In this case, there seems to be a mountain of evidence that would suggest that the DPA would not be appropriate - for the reasons alleged above – but Lord Justice Leveson was keen to point out the level of cooperation exhibited by Rolls-Royce since the investigation was even rumoured had to go in its favour and spare it a fully public prosecution. Its top-down changes, including the appointment of Lord Gold as reviewer of its ethics and compliance procedures impressed the court, when understood in conjunction with the increasing losses suffered as a result of these revelations, all factored heavily into the Judge’s decision to allow a DPA to go ahead. Ultimately, the DPA has two crucial elements. Firstly, it is due to run for five years which, assuming Rolls-Royce complies with the payment structure and compliance guidelines, will bring the case to a close. However, the most important part in terms of deterrent is the second element, which states that ‘other conditions include the absence of any protection against prosecution of any present or former officer, employee, or agent’ of the company. This element revealed itself in today’s business news. It was reported today, in a range of business news media, that former boss of Rolls-Royce, Sir John Rose, has been questioned under caution by the Serious Fraud Office. As the investigation into Sir Rose’s involvement has only just begun, it would be improper to speculate as to how the case may unfold against him, and the ‘dozens’ of others who are, reportedly, in the crosshairs of the Serious Fraud Office. But, it will be important to watch the developments of this case closely for one simple reason. The discussion of ‘justice’ by Lord Justice Leveson was appropriate with regards to the usage of a DPA as a tool of punishment, but it is arguably appropriate to discuss it here in relation to Sir Rose. If, and it must be stressed that the SFO has not released any details regarding its investigation into Sir Rose’s conduct, he is found to be guilty of anything in relation to multi-jurisdictional corruption and fraud, the punishment given will be a clear indicator as to the acceptance by the courts of the need to punish financial crime as severely as any other crime. The study of white-collar crime is expansive, but the fact remains that white-collar criminals are less likely to be prosecuted, and when they are prosecuted they are punished much more leniently than blue-collar criminals. Here there is the chance, and it is a reasonable chance given Sir Rose was in charge of Rolls-Royce between 1996 and 2011, that an extremely influential (former) Chief Executive of a FTSE 100 company could be found guilty of corruption and fraud – the issue then is how he may be punished. With the increase of populism since the Financial Crisis it will be very interesting to see if the media promote the story of white-collar crime and its punishment like they have other high-profile legal disputes (Gina Miller’s challenge to the Government’s hegemony over Brexit, for example) – it is unlikely they will do so, but enough people will be paying attention; the decision will therefore take on even more importance and will provide a good gauge for the judiciary’s view on white-collar crime. Labels: Corruption, Fraud, Rolls-Royce, Serious Fraud Office, Sir Brian Leveson, Sir John Rose, white-collar crime.